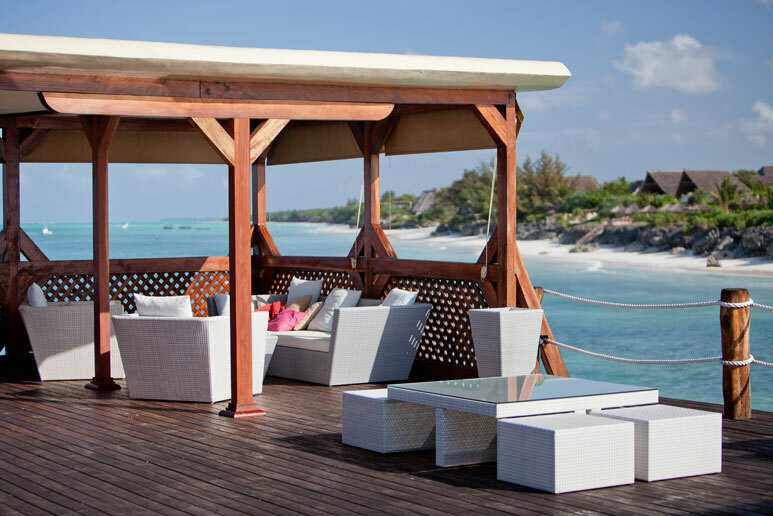 This 10-day luxury holiday takes you across Tanzania's best wildlife destinations—Ngorongoro & Serengeti—for action-packed safari drives and then serves you some well earned relaxation at the seaside resort of Zanzibar. Your Tanzania and Zanzibar luxury holiday starts at Arusha, a city in northern Tanzania located beneath the towering Mount Meru. You’ll be received at the Kilimanjaro International Airport (JRO) by our representative and transferred to Arusha. On reaching Arusha, you check-in at the Arusha Coffee Lodge. It is conveniently located and is a perfect mix of comfort and luxury. The vastness of the Ngorongoro Crater and its thriving wildlife will leave you amazed! After breakfast, you leave for a Ngorongoro Conservation Area tour. The central feature of this conservation area is the Ngorongoro crater which was formed by a volcanic eruption in the prehistoric times and is now a vast expanse of land and a habitat for wildlife. The crater houses two lakes, Ndutu and Masek, which are an integral water source for the animals in this area. 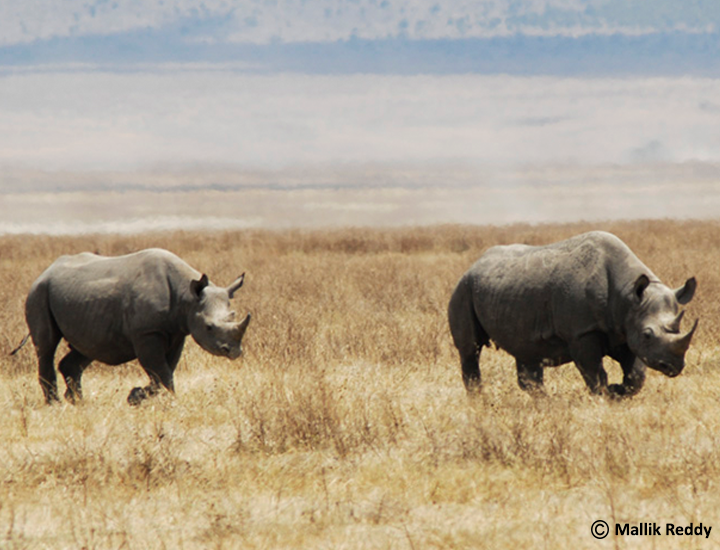 The large mammals found here are the black rhino, hippopotamus, wildebeest, elephant, lion and buffalo. The region is also culturally and historically important as it is the home of the Maasai tribe. The government allows only the people of this tribe to reside in the conservation area. Recent excavations in the reserve have brought forth evidence of hominid remains, which are over 1.8 million years old. These remains are an important link in the human evolutionary process. After lunch at the lodge you could do an optional crater rim walk or relax at the lodge. 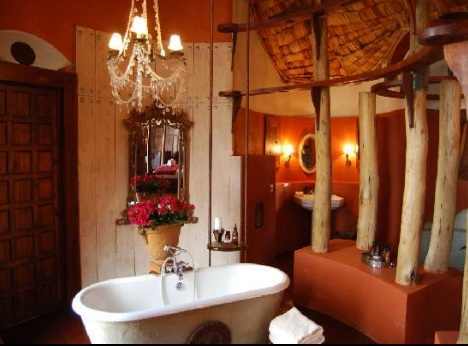 Ngorongoro Crater Lodge is dramatically beautiful, and often referred to as the eighth world wonder. Perched at the edge of the Ngorongoro Crater, Tanzania, this exclusive luxury lodge enjoys spectacular views of the World Heritage Site in which it stands. Enjoy a full day on safari in Ngorongoro Crater along with experienced rangers to spot the Big Five and a host of other wildlife species. Today you will descend 2000 feet (0ver 600 m) to the floor of the crater for a day crater tour with picnic lunches. Explore the forest areas that are inhabited by monkeys and elephants, the lake area, where you may see the flamingos and the open savannah where the lions hunt for food. Dinner and overnight at the lodge in Ngorongoro. Enjoy an afternoon game drive in Serengeti National Park and spot various wildlife species. You leave in the morning for the famous Serengeti National Park. It is a scenic drive to the National Park which takes you via the Olduvai Gorge, the site of Louis and Mary Leakey’s archaeological findings. Louis and Mary Leakey were British archaeologists who spent a lot of time excavating the Olduvai region and in fact uncovered the tools of ancient hominids. You reach Serengeti National Park by lunch time followed by an afternoon game drive. The Serengeti National Park is 14,763 square kilometers, and is Tanzania's oldest national park. It is renowned for the annual migration of over one and a half million white-bearded wildebeests, three hundred thousand Thomson's gazelles and over two hundred thousand zebras. Drive around the beautiful park and watch the sun set over the acacia trees, and return to the lodge for dinner. Soroi Serengeti is set high on a natural plateau with endless views over the vast plains of Musabi, giving you a truly unforgettable African experience. The luxurious Soroi Serengeti Lodge is an eclectic combination of architectural shapes, textures and colours combined with modern styled interiors. The main lounge and dining area offers ample seating with several decks as well as a small library. One of the main features is the unique infinity ‘rock’ pool where one can lounge whilst enjoying a plethora of game scattered on the plains. Enjoy morning and evening game drives in Serengeti National Park and spot the Big Five. You spend the next two days at the Serengeti National Park. You have the option of going on a full day game drive or can return to the lodge for lunch! Photographers have a great opportunity to shoot pictures of animals and the landscapes are breathtaking! 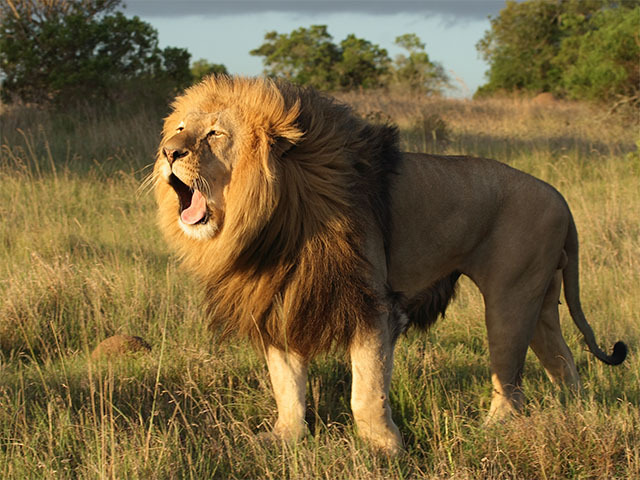 The park is well known for its healthy stock of wildlife, particularly the 'Big Five', which are - the lion, African leopard, African elephant, black rhinoceros and African buffalo. Due to the biodiversity and ecological significance of the area, the park has been listed by UNESCO as a World Heritage Site. Let Zanzibar indulge you with its abundant sights and smells. Relax on a pristine beach, indulge in spa treatments, and marvel at Stone Town’s unique architecture. After breakfast, you proceed to the Seronera airstrip, for your flight to Zanzibar (11.00-14.00). On arrival you are transferred to Essque Hotel, your home for the next few days. Stay in one of the Sea front suites, each with a spacious master bedroom, as well as a lounge and outside terrace or balcony. Once you are comfortable, make the most of your amenities, pick your favourite drink from your personalised mini bar, freshen up under a solar heated shower, or lie back on the king sized poster colonial style beds. Satisfy your taste buds with a choice of three distinctive restaurants, a scrumptious café, three well-stocked bars or dial a mixologist to come right to your suite and shake your very own tailor-made cocktail. There are number of optional tours such as Stone town city tour, Prison Island Tour, Kizimkazi Dolphin Tour, Full Day Dhow Cruise and Sunset Dhow Cruise. You will have two full days to relax and unwind at the coastal destination of Tanzania with various options of indulging yourself in the hydrotherapy treatment at the Spa or you can try your hand at kite surfing and other water sports. *Optional activities can be arranged upon prior request. After breakfast you will be transferred to the airport for your flight to Dar Es Salaam. In Dar Es Salaam you would be assisted to board your homebound flight.